Purchase this product now and earn 66 BKE Points! With Medicine Man’s Black Jaguar Capsules you can experience a whole new world of energy and drive, coupled with the pain relief you need to stay active. Black Jaguar capsules are a blend of high-quality white and red vein Maeng Da leaves, which are more potent than standard green vein options. This combination gives the capsules its coveted 30X concentrated effect. 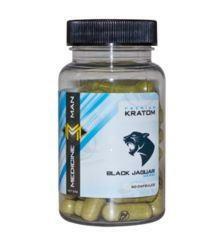 The thing that sets these kratom capsules apart from all the other products on the market is their power. These capsules are highly concentrated and perfectly mixed to give you the best possible results in less time. When it comes to kratom dosage, you only need a single capsule to feel the effects thoroughly. These capsules work incredibly fast and have effects that last for hours before subsiding. You can count on these capsules to get you through the day without inhibiting your ability to function. Maeng Da is also widely available, so these capsules are easy to get your hands on and very affordable. 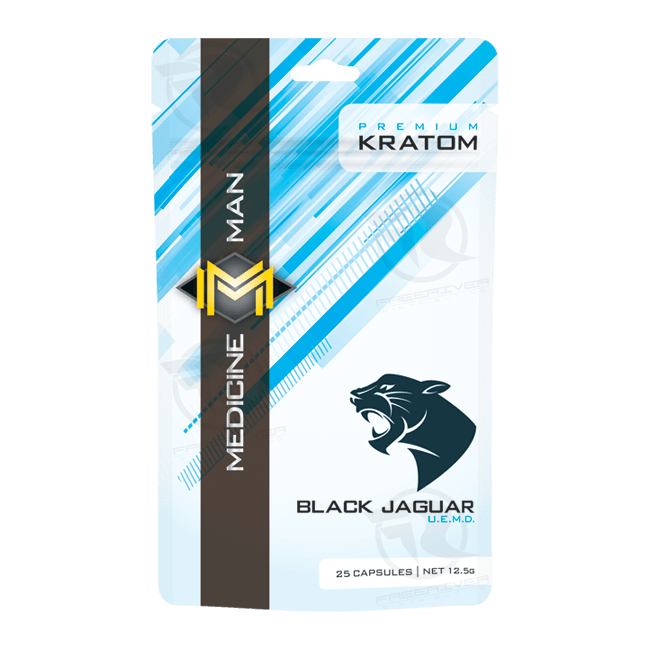 For more information about Medicine Man Black Jaguar capsules, contact Buy Kratom Extracts today and see why these are some of the most incredible capsules we have in stock.